It was tough, but after a lot of debate and countless hours of screen time, we've chosen our overall winner of the first Everyday Humans Short Film Competition. Not only is it a beautifully shot, engaging story, but the entire production was completed by a one man creative force - Istvan Lettang. Good on ya, Istvan! For all of Istvan's efforts we're sending over $7,000, a Goal Zero Sherpa 100, a Wipster Video Pro Team subscription, a Syrp Genie 3 Axis Kit and Variable ND Filter. 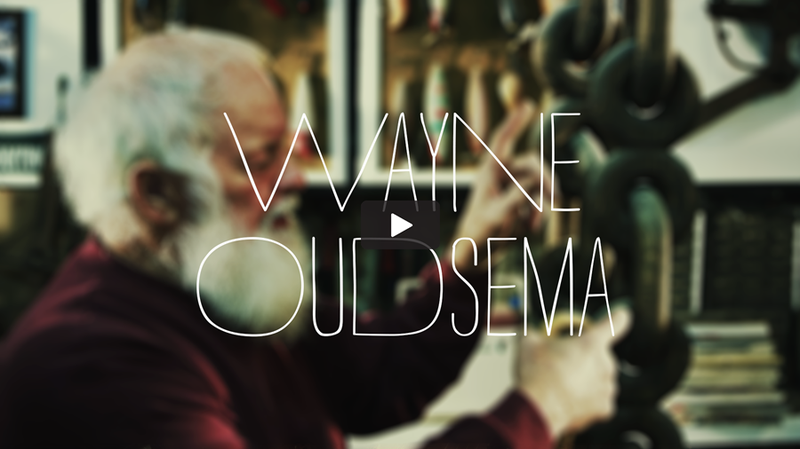 Click here to check out the short film and meet Wayne Oudsema - Woodworker, craftsman and bike enthusiast. For over 50 years, Wayne's done what he know best; worked with wood. Starting off his career as a contractor, he's now pushing boundaries and creating what everyone told him was impossible. He also possesses one of the coolest man caves we've ever seen. Welcome to Wayne's World. A huge thanks to everyone who entered - we're not stopping here, though. We've still got a whole pile of special awards to give out, so we'll see you next Wednesday to introduce you to a brand new Human.